Estée Lauder co-founded her famous brand in 1946 with four simple skin products. For more than a decade, the company grew steadily but undramatically. The 1960s were different. The company went international in 1960, opening at Harrods in London, and expanded briskly. By 1970, there were 13 more international locations, several new plants and two new brands created from scratch, Aramis (1964) and Clinique (1968). Over the years the Estée Lauder Cos. continued growing through acquisition and creation of brands. Estée herself remained active in the company until her complete retirement in 1994. The following year Estée Lauder went public. 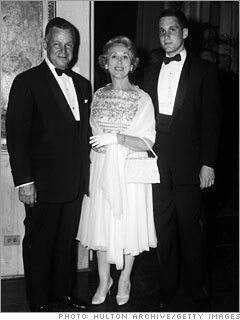 Despite Lauder's death in 2004, the Lauder family maintains a strong presence in the company. Currently the company has revenues of $6.3 billion.